I love soup because it can contain nearly nothing and be so completely fulfilling. 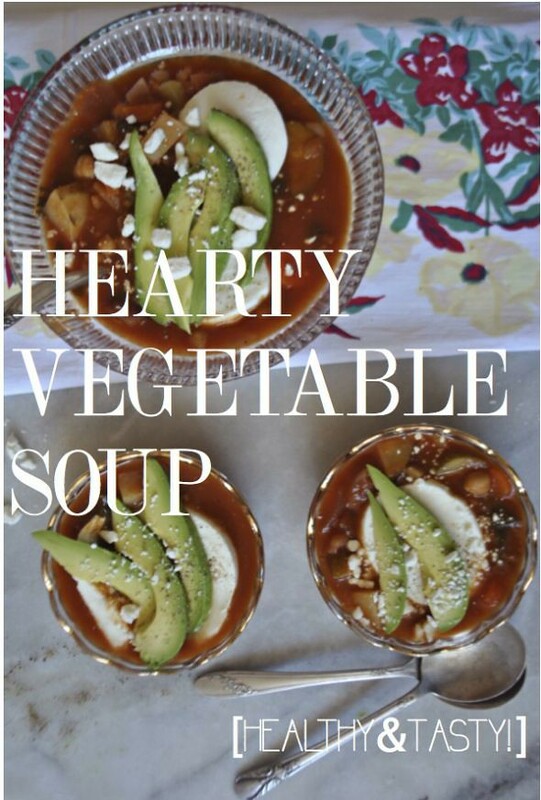 This hearty soup is filled with tons of healthy ingredients and is the perfect guilt free meal for a cozy January night. Since this soup contained virtually nothing to feel guilty for, (i.e. heavy cream, butter…..), I decided to add a hunk of fresh mozzarella on top and a few slices of avocado for some delicious creaminess! So simple and yummy, enjoy!